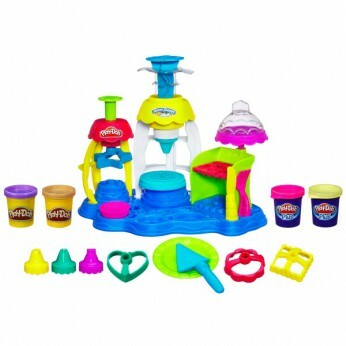 This toy costs approximately £17.99 (for the latest and best prices make sure you check our retailer list for the Play-Doh Frosting Fun Bakery above). In our review of Play-Doh Frosting Fun Bakery we classed it as being suitable for ages 1 to 3 years, 3 years, 4 years, 5 years but recommend you check the manufacturer specific advice before purchasing. This was a birthday present for my 3 year old daughter. She loves everything playdoh and this set has been a great addition. Works better with playdoh plus which is softer. Great range of accessories.